Instead of showing some early renders, a bit of concept art of maybe even playable code, a room was shown. In this room… dozens of miniature stages, each of them depicting a scene from the game. In each scene, the central characters are made out of clay – meticulously crafted to generate a unique look for the game. The sight must have been quite something. When we say unique, we don’t mean that in the most literal sense – we’ve seen it once before, in The Neverhood. Apart from that exception, it’s a look that definitely stands out – and the similarities are no big surprise, because a large part of the Neverhood team also worked on Armikrog. Despite looking similar, this is no sequel, nor does it take place in the same universe or with the same characters. Instead, you play as Tommynaut, an astronaut who has to save his world by finding an exotic mineral in remote corners of the galaxy from which his brothers never returned. His trusted friend Beak Beak – a dog with hints of bird and reptile in him – joins him, but it’s not long because they get trapped inside the Armikrog and need to escape. The Armikrog is a space fortress, and it consists of a series of rooms – much like what Versus Evil must have seen back in the day. What I mean to say by that is that there is very little storyboarding and directing going on here, and instead you play through a series of loosely connected scenes. It’s a format that was quite common in early adventure games, but adventure games have become more streamlined in the past few years – take a look at any of the Telltale series, for instance. 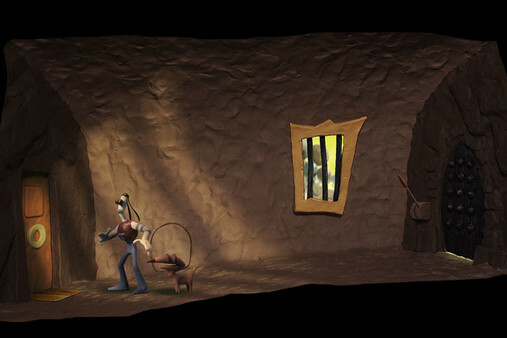 The gameplay in Armikrog is also different from what modern adventure games serve up – in good and bad ways. There is some good old pixel hunting to be found when trying to find the right object to pick up or manipulate, since there are no hot spots or highlighted objects in the game. This offers up an unwanted challenge for most gamers, but what the game also does is serve up some creative puzzles for you to overcome. Most of these have creative solutions, and animations and voice-overs that are full of humor. This makes Armikrog, for the most part, a fun walk down memory lane. It reminds us of some of the frustrations that old adventure games had, but also shows up how much fun can be inserted into a game like that. And with its striking art style, this is a game that stands out from the crowd in a positive way despite its shortcomings in game design. There are also some technical issues, but the team is working hard on fixing those and has already released their first patch. 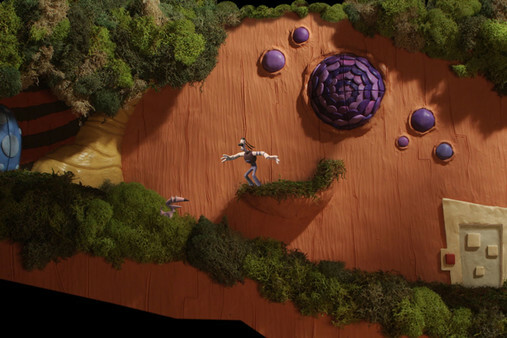 We would have enjoyed a bit more storytelling to blend the wacky and fun scenes of Armikrog together, but thoroughly enjoyed our return to claymation gaming.